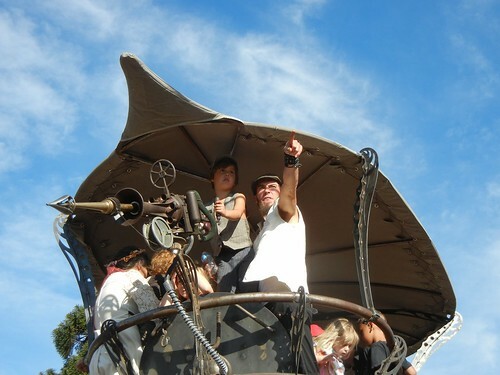 My friend Jeskat and I headed off yesterday to catch the Great Handcar Regatta in Santa Rosa, California. 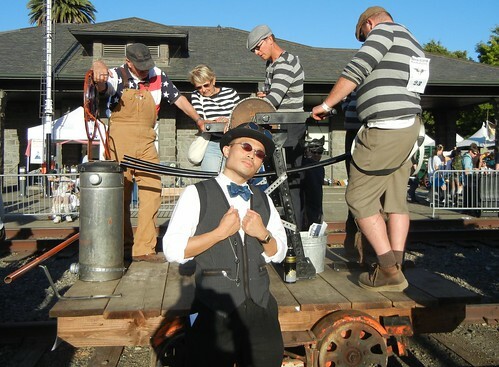 Centered around a race on old railroad tracks of a crazy assortment of human-powered vehicles, the Handcar Regatta has grown over the past four years into a huge festival of steampunk-inspired fashion, vehicles, artwork and more. Walking among the elaborately costumed participants in a dusty, ramshackle environment felt like being on the set of the TV show "Firefly." 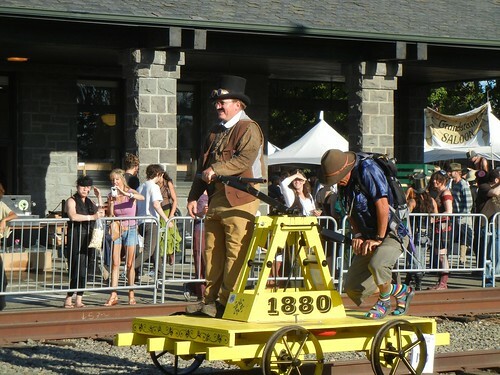 We unfortunately got there a little late to catch most of the actual handcar races. But we got to check out a lot of the amazing vehicles up close. Clearly a lot of creativity and ingenuity went into creating these conveyances. Lots of artisans and merchants had stalls selling everything from hand-made clothing to books and artwork. Jeskat couldn't resist buying some jewelry to accentuate her already stunning outfit. 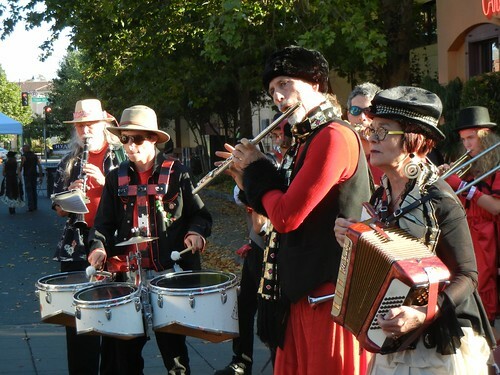 There was a bunch of live music all over the place, bands performing for free-spirited, costumed revelers. I got my dance on to a wacky marching band, playing everything from Michael Jackson to waltzes. It was a fun, inspiring day among hundreds of creative and friendly folk. I'm definitely coming back next year! See a few more of my pics here.